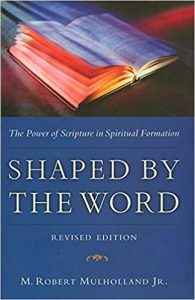 Book Review—Shaped by the Word – North American Baptists, Inc.
A Review of Shaped by the Word: The Power of Scripture in Spiritual Formation by M. Robert Mulholland Jr. In 2 Peter 1, we are told that God has given us everything we need for life and godliness. In addition, we have been invited to become participants in the divine nature. That’s pretty amazing stuff right there. We have everything we need for life and godliness, and we are partakers in the divine nature. Reflect on that for a few minutes and that thought virus can wreak some much-needed havoc in our lives. And yet, Peter goes on to say that in light of all that God has done and continues to do for us, we are to make every effort to support our faith with goodness, knowledge, self-control, endurance, godliness, mutual affection, and love. In other words, even though God has given us everything we need for life and godliness, and even though we have been made partakers of the divine nature, if we do not apply effort in our pursuit of transformation, nothing will happen. We’ll stay the same. The Spirit of God is at work in our formation into Christlikeness, and as followers of the way of Jesus we intentionally cooperate with this spiritual formation. Perhaps the most central practice down through the centuries of the church that embraces this cooperative relationship with the Holy Spirit is the reading, studying, and reflecting on Scripture. The late M. Robert Mulholland Jr. has given a great gift to the church in his wonderful book Shaped by the Word: The Power of Scripture in Spiritual Formation. In Shaped by the Word, Mulholland pushes back at the tendency to read Scripture primarily for information. He exposes the temptation for readers of Scripture to use Scripture as a means to control the world, other people, and even God. When we come to God’s Word, the task is not so much to read Scripture but for Scripture to read us. Shaped by the Word is an invitation to an encounter with the living God in Scripture. Mulholland invites us to experience a profound formation into Christlikeness as we allow ourselves to be mastered by the Word of God. Save the Date—Triennial 2021 Announcement! He came to his own, and his own people did not receive him. Update on Missionaries, Thank You Notes, and more! Join us in giving back this #GivingTuesday! The Jones’ are Heading to Brazil! 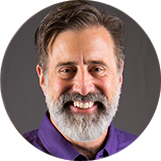 Join Matt and many others at Triennial! The Jones Family, Triennial Hotels, WMLT Update, and More! Find Out About Important Changes! Please join us in covering this family in prayer! Something for the Whole Family! Resources for Youth Pastors, Young Leaders, and Women of the NAB! Save on your Triennial Registration! Year-End Information, Missionary Updates and More! Triennial, Missionary Needs, and Onward! Last Chance to Join the Discussion! Check out what's happening with The Gathering, the Northwest Region, and more. The NAB Heads to the Olympics!